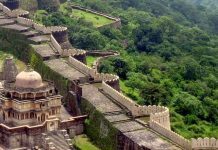 In this article you’ll get to know about all the Udaipur specialities or udaipur famous for which reasons. 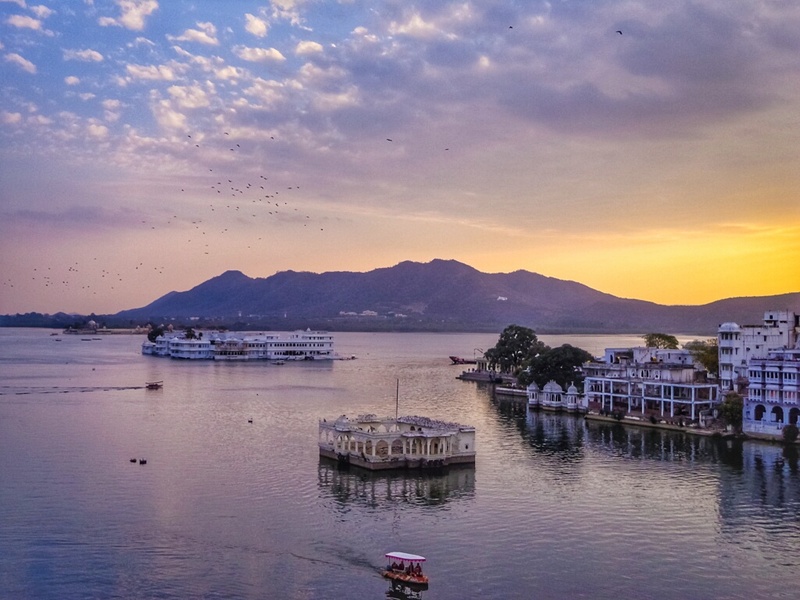 There are ample reasons to love Udaipur; if a tourist decides to binge in Udaipur he/she takes away a small part of the captivating city to their respective natives. If you know exactly what things you must do in Udaipur your experience heightens making you never forget the city. 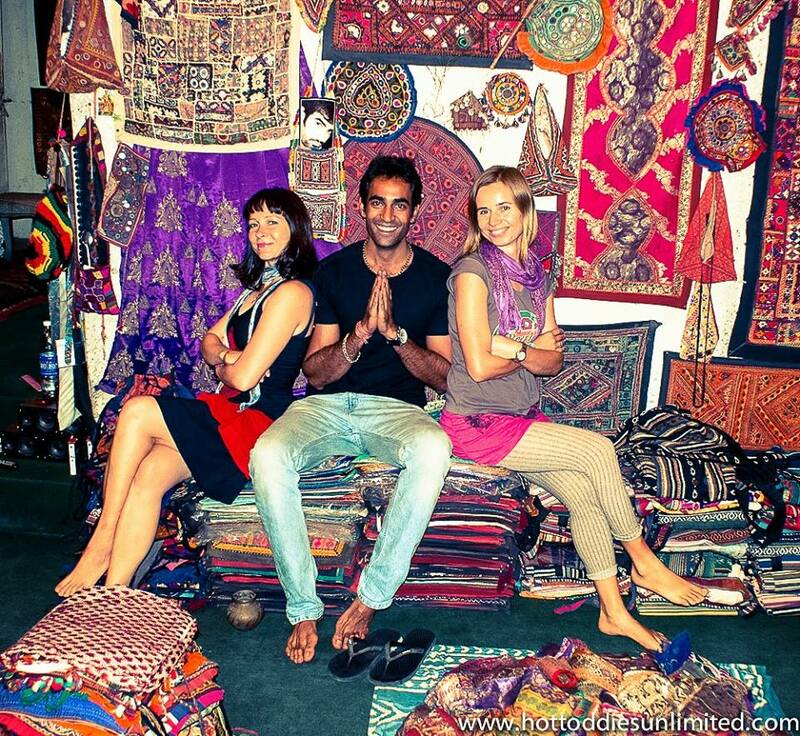 Therefore we decided to jot down all the specialties of Udaipur in order to assist the tourists and fascinate locals. Udaipur was founded in 1553 by Maharana Udai Singh, the Maharana shifted the Mewar Capital from Chittorgarh to Udaipur as he thought of it as a safer place surrounded by mountains. 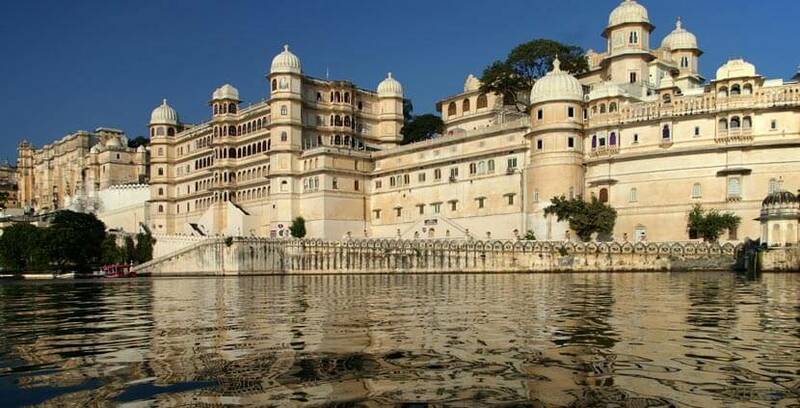 He named the city ‘Udaipur’ on his name and built the main palace near Pichola Lake named City Palace. Later, his descendants constructed various luxurious palaces across the city. You can dig in mini tales about the area from locals and guides that surely will interest you. The rulers of Mewar dynasty were fond of building luxury palaces and forts; hence they made sure the future residents had apt sites to scratch the past. City Palace, Fateh Prakash Palace, Lake Palace, Monsoon Palace are the palaces you must pay your visit to if you step in Udaipur. Other historic sites include Bagore Ki Haveli, Saheliyon Ki Bari, Jagdish Temple, Eklinji Mandir. 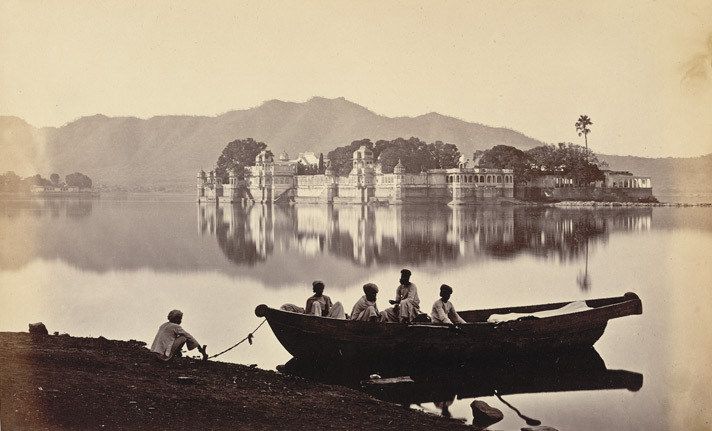 Udaipur is blessed with almost 10 lakes in and around the city; therefore it is called as the ‘The Venice of East’. As in Udaipur we say, “You’re never too far from a lake in Udaipur!’’, keeping that in mind there are various lake-side hotels and restaurants for the people who enjoy watching the synchronously rising waves in the water. As an integral part of Rajasthan, Udaipur is privileged with vibrant local festivals that bring all the tourists and residents together. 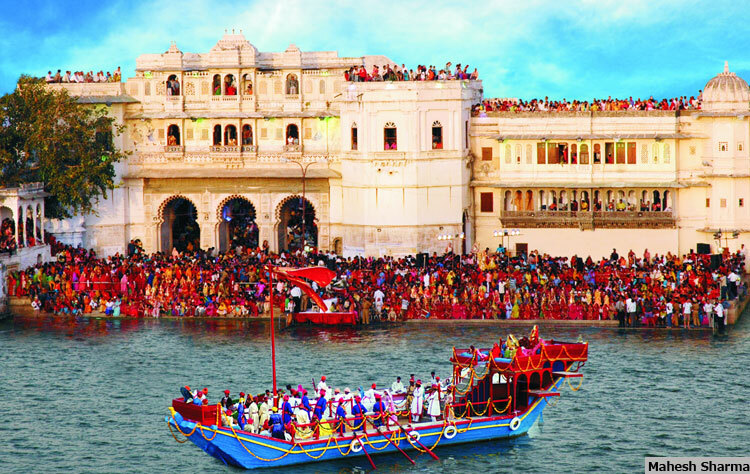 Here are the regional festivals of Udaipur. Gangaur Festival: An 18 day Mewar Festival that celebrates the union of Lord Shiva and his wife Goddess Gauri. On the last day a huge procession is led to Gangaur Ghat, where the idols of Gan (Lord Shiva) and Gaur (Goddess Gauri) are carried to the Gangaur Boat via small boats and the main ritual is taken place. Jagannath Rath Yatra: A massive procession is carried out across the city every year at July-end, with the idol of Lord Jagannath, his sister Subhadra and friend Balram on a chariot with numerous devotees taking blessings of the lord. Shilpgram Festival: Every year from 21st December to 31st December Shipgram Festival is commenced, craftsmen from all over the world gather in this festival to showcase their art. 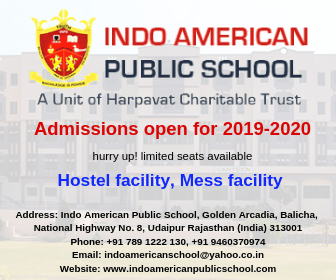 Hariyali Amavasya: A festival of welcoming monsoon, the first no-moon day of Saavan period is celebrated as Hariyali Amavasya. In Udaipur a vast fete is setup near Fateh Sagar Lake for 2 days where jewellery, food, rides, games and clothes are available. 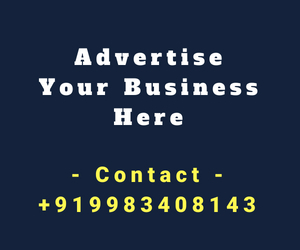 Udaipurites (people of Udaipur) are extremely welcoming and always ready to help, you can always ask for suggestions from a local and they will always give you the best advice related to Udaipur. 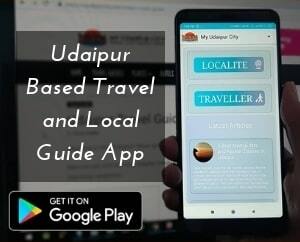 You can always contact residents of Udaipur via Facebook groups & pages or communicate with any person on the streets of Udaipur, they’ll surely assist you. Also according to some trusted survey Udaipur is rated as one of the safest cities in India for women. 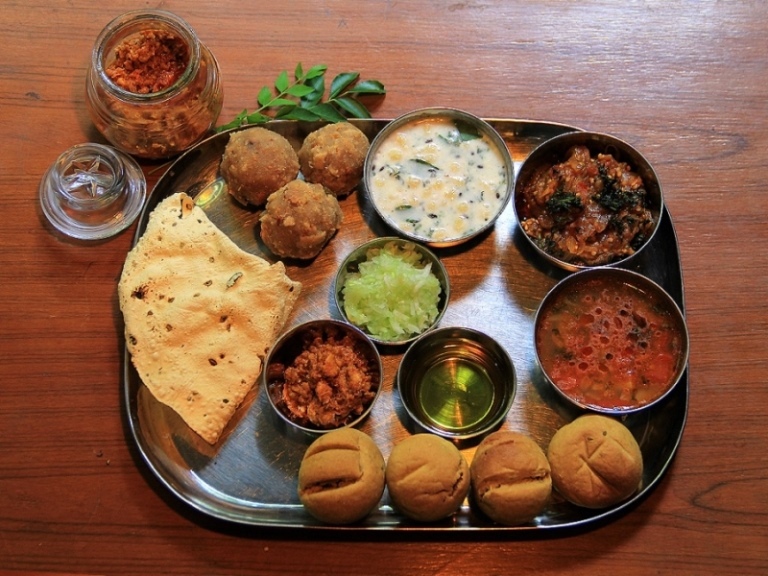 If you haven’t tried the Daal Bati Churma, Gatte ki Sabzi and other dishes from the Rajasthani cuisine then let us tell you that you’re missing the most delicious food. And not only Rajasthani cuisine but other International and National cuisines like Italian, Chinese, Thai, Gujarati, South-Indian, Punjabi and several other options are available across Udaipur with lip-smacking taste. 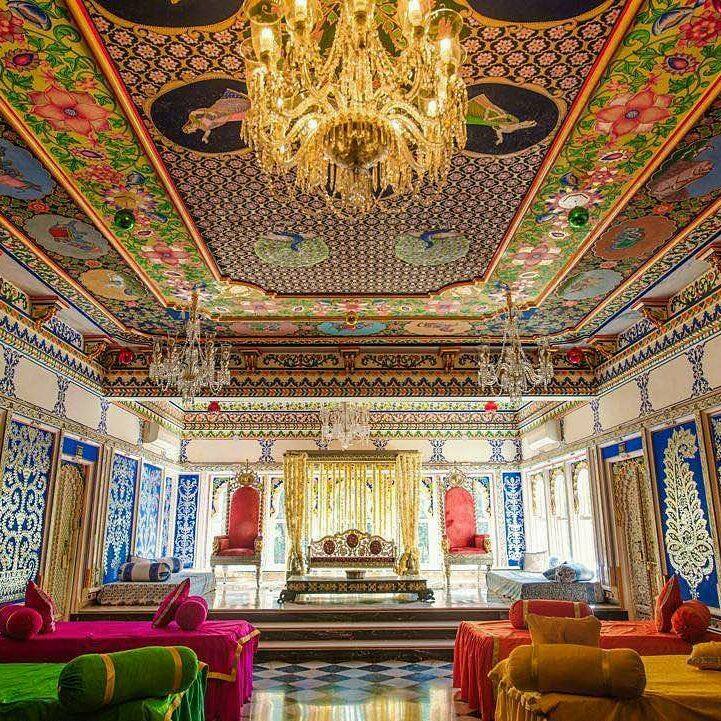 You can treat yourself like a royal Maharana (King) by staying in the heritage hotels in Udaipur. Few ancient palaces were turned into hotels that have actual rooms of past Kings and Queens where you can check-in. Some of these properties suggested are Taj LakePalace, Fateh Prakash Palace, Oberoi Udaivilas, Lalit Laxmi Vilas, and The Leela Palace. Udaipur is considered as one of the ‘Most Romantic City of India’ as the scenic beauty comprising of lakes and Aravali Range of mountains with perfect weather makes it a couple’s den. If you’re looking for an appropriate location for a lavish destination wedding, we’d recommend you to stick to the royal roots and choose Udaipur. 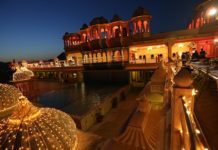 Also for pre-wedding shoots, wedding proposal, honey-moon or a weekend trip to the city with your loved one to Udaipur is a must as this place will never disappoint you. 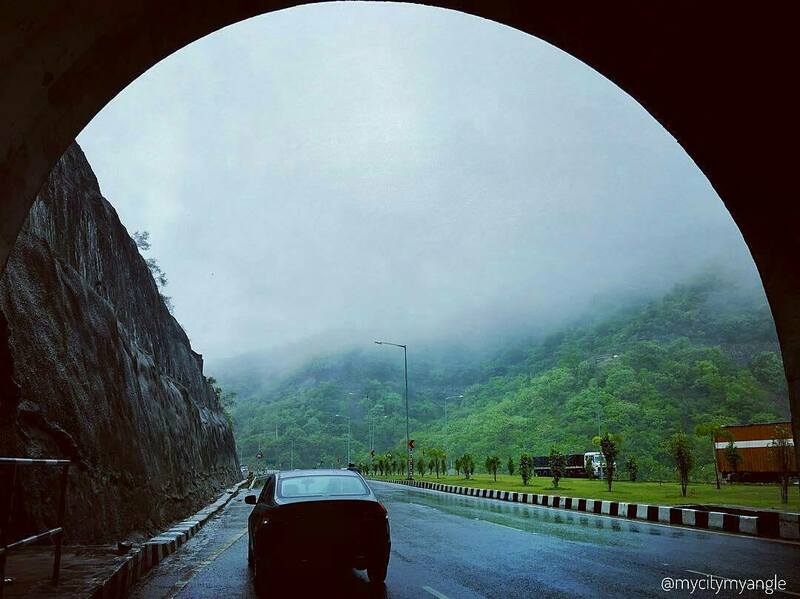 Tip: Plan to visit in Monsoons; you’ll know why you should do that in the next point. If you love the rainy season and seek for natural locations to admire the beauty of this natural phenomenon, we advise you to spare a visit to Udaipur in monsoons. 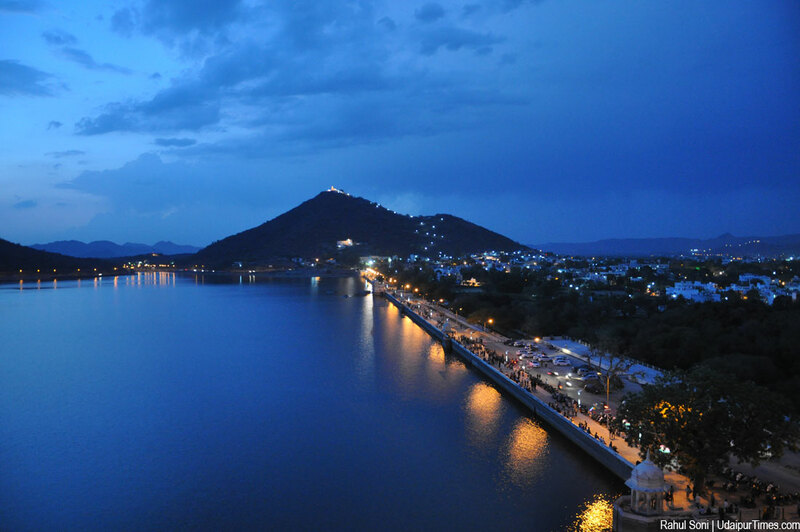 Believe us, this city turns into Heaven during its monsoon era, and if you’re not much a fan of rains then we suggest you to still give Monsoons of Udaipur a try, you’ll start loving this season. Places to visit during monsoons include Lakes, Monsoon Palace and Moti Magri. Now who doesn’t love shopping? And when it comes to ethnic hand-made art nobody can resist themselves. 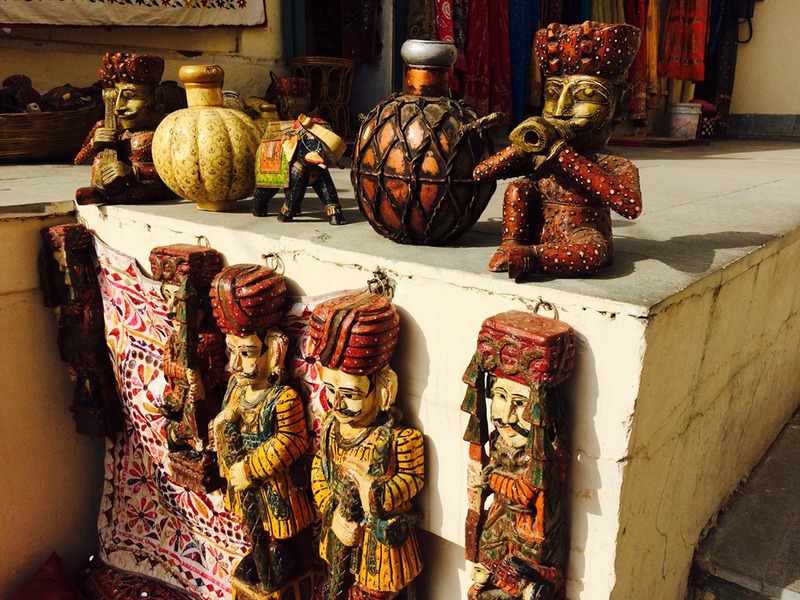 Talking about the much celebrated craft of Udaipur: Handicrafts, is available in abundance in Udaipur’s market near City Palace and the rest old city. Jewellery, shawls, sarees, dresses, trousers, turbans, borders, covers, wall hangings, paintings, sculptures and much more can be found easily on the old city streets of Udaipur. 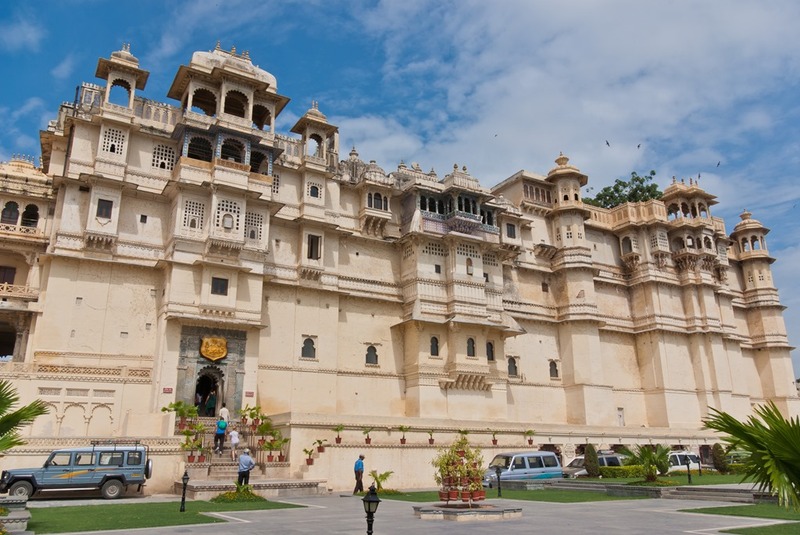 Check out our 15 Famous Things to buy in Udaipur article for more information about the same. Udaipur is one of my favorite places in Rajasthan. Nice sum up. I am so glad that you liked the article, thanks for your comment.